This project today by Samantha will make you smile! She used our cute new Winston's Honeybees stamp set to make this fun collection of cards! 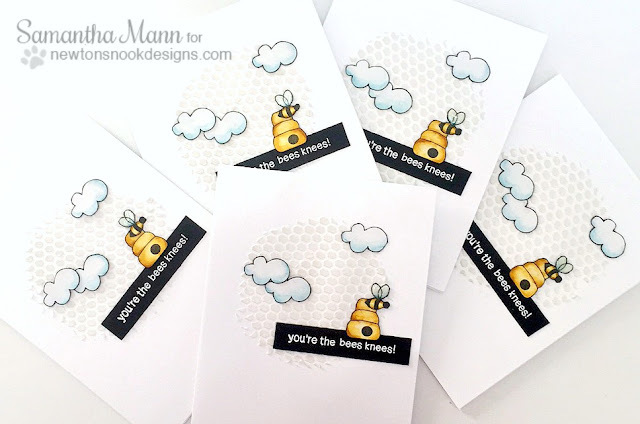 I just love how she used a fun stencil and embossing paste to make a honeycomb texture on the background of these cards! Then she added the adorable beehive and bee image from the Winston's Honeybees stamp set, along with some clouds - fussy cutting them out and adding them on top! 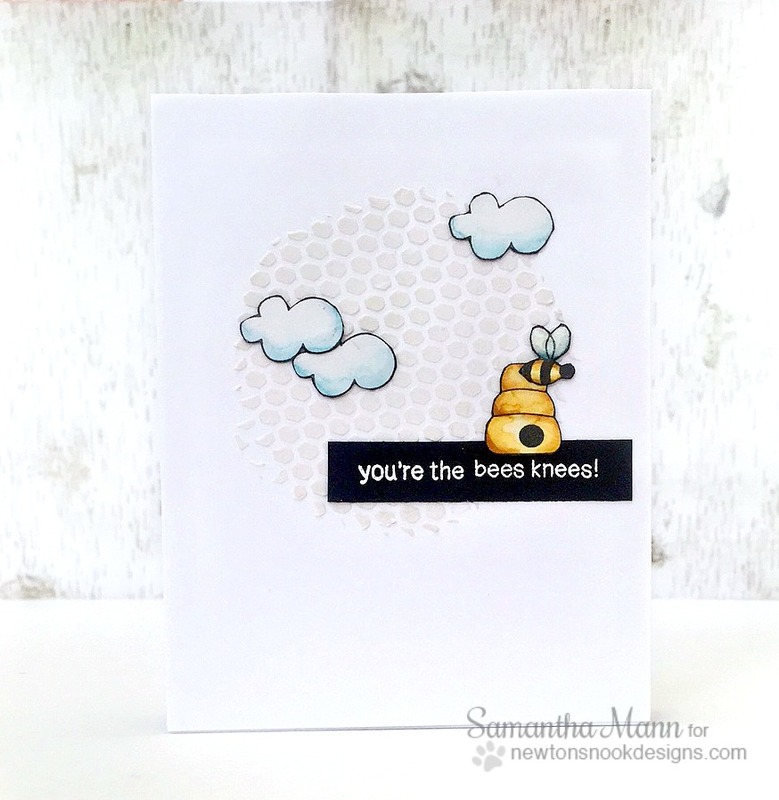 The sentiment "You're the bees knees" embossed onto the black cardstock strip adds the perfect finishing touch! What a fun set of cards! This would make a perfect gift! These cards are really very beautiful. Such an awesome and beautiful card!!! What a great design! So beautiful!